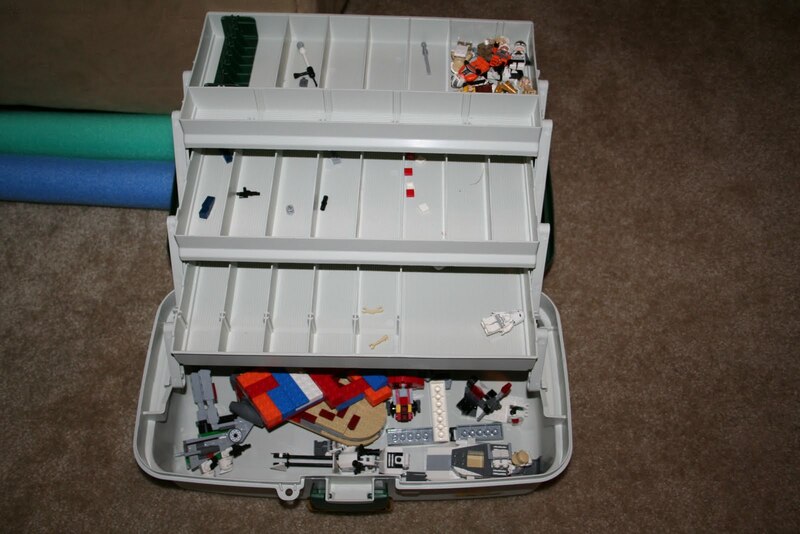 About a year ago, I thought I had come up with a great solution for Lego storage. 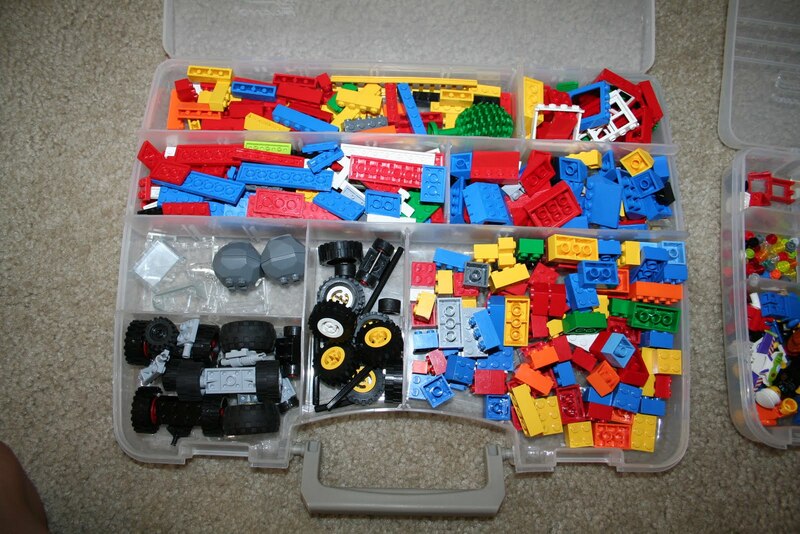 It worked for a while but lately it seems that the Legos have exploded again and I was ready for something new. 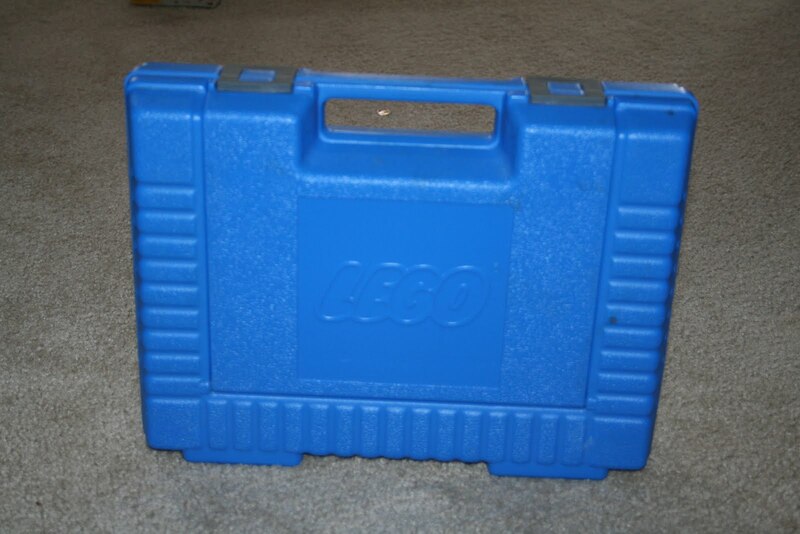 First I have to show the solution to Lego storage from 25 years ago! 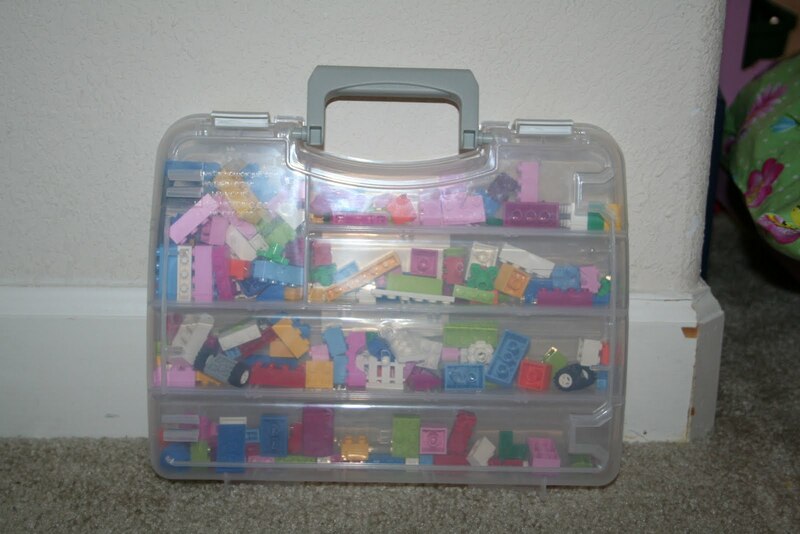 Jenn and I used this box for our Legos when we were little girls. Jack first started playing with Legos a couple years ago when we were in Maine for a couple weeks and I pulled this box out of the attic. Now, he has more Legos as a 5 year old than Jenn and I ever did. As retro as the box looks and as much nostalgia as there is with it, it’s not the greatest storage system. 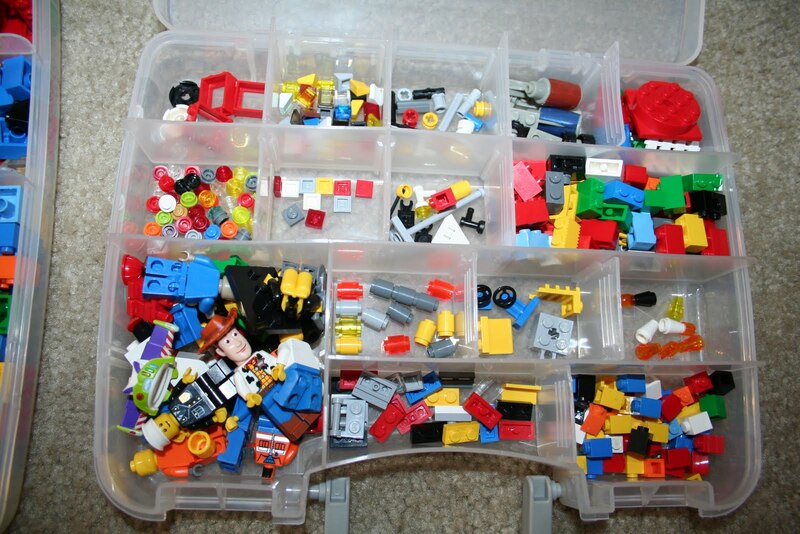 Even as a girl, I remember digging and digging and digging through that box looking for the right pieces. Jack’s collection quickly outgrew it so I figured out a new system. I bought the plastic container with drawers on the right. 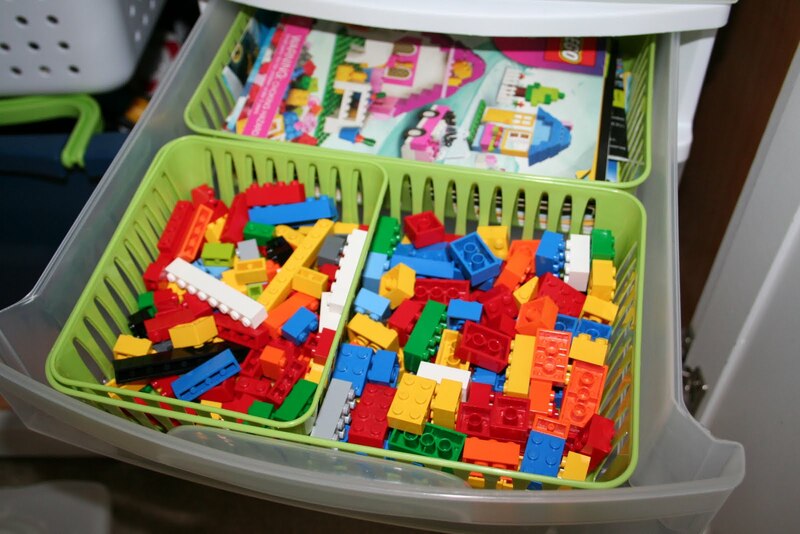 The big bins on the left have some “overflow” Legos and other toys. These drawers kept the toys organized and separated but there was a lot more pulling things out than putting things away on Jack’s part. 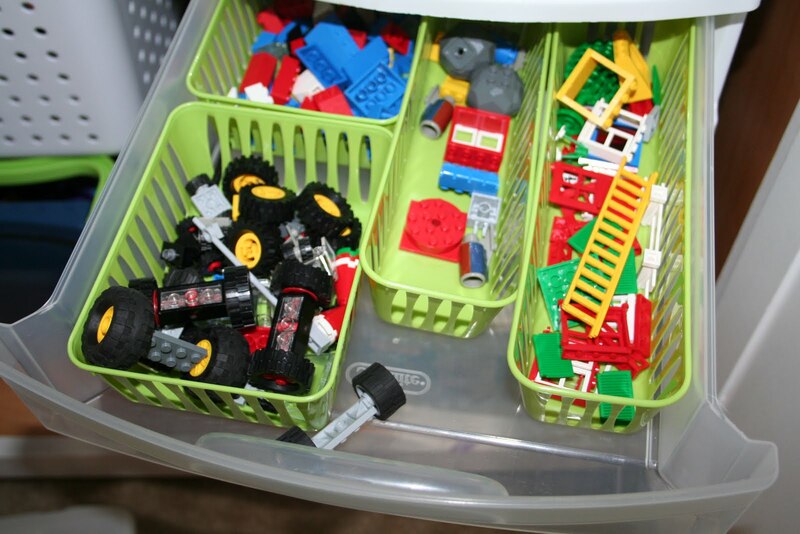 I bought little containers (at the dollar store) to hold different types of Legos and I divided them all up – wheels, angled pieces, windows, doors, other special pieces in this drawer. Army guys, minifigures, flat pieces and very small pieces. Instructions, long bricks and bigger block-shaped bricks. Extra boxes. I used old wipe containers to keep certain sets together and for when we were travelling and I need to throw a bunch in a box. 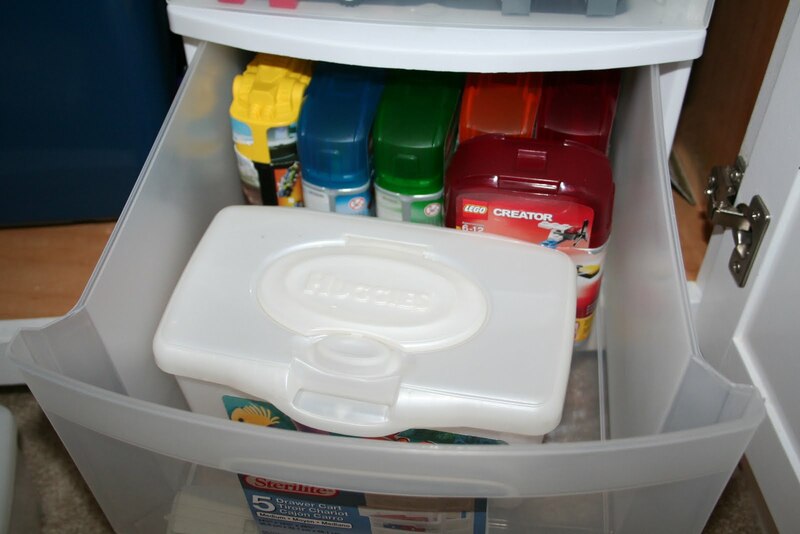 I also saw some plastic boxes that looked like they would work and when Casey and I made a trip to Walmart last week, I found exactly what I was looking for: plastic boxes with dividers and handles. These two are for Casey’s Legos. While waiting three hours for new tires last week, I put one of these boxes in my bag and we had instant entertainment. I’m hoping they will play with them in the car next week when we have a long car ride to Maine. I would love to glue one of the flat base boards to the top of them, but the boxes are not quite flat on the top. I got Jack a bigger one and one the same size as Casey’s. I love that the Legos all have their own spaces and they stay in their spaces when you pick them up. 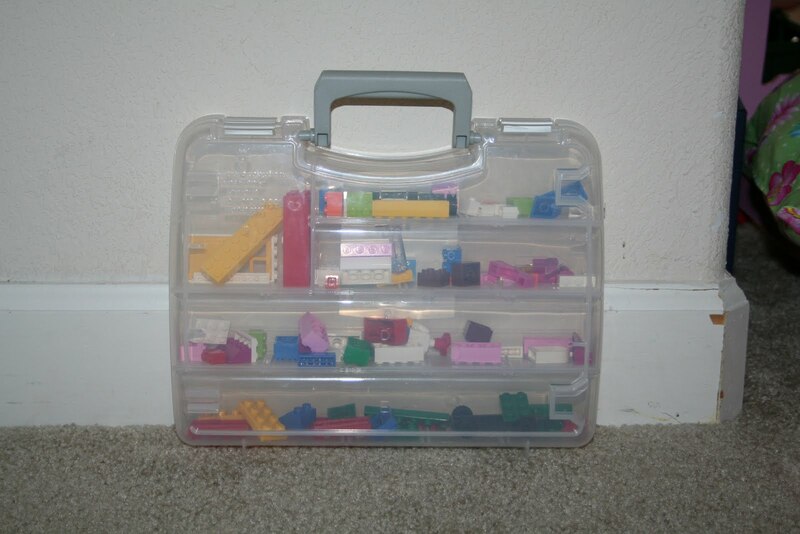 For all the Legos they hold, they are pretty compact. These two hold most of Jack’s Legos (that aren’t being used) but I just bought him another big one because they don’t all fit in here. But it still takes up less space than the drawers. Now he can pull out one of these boxes and drag it to wherever he is working and when he’s done he can just close the lid and put it away. In the end, it’s really only me who is excited about these containers. And me who organized them all into different sections. And me who will reorganize them when they get messed up. But it makes me happy. 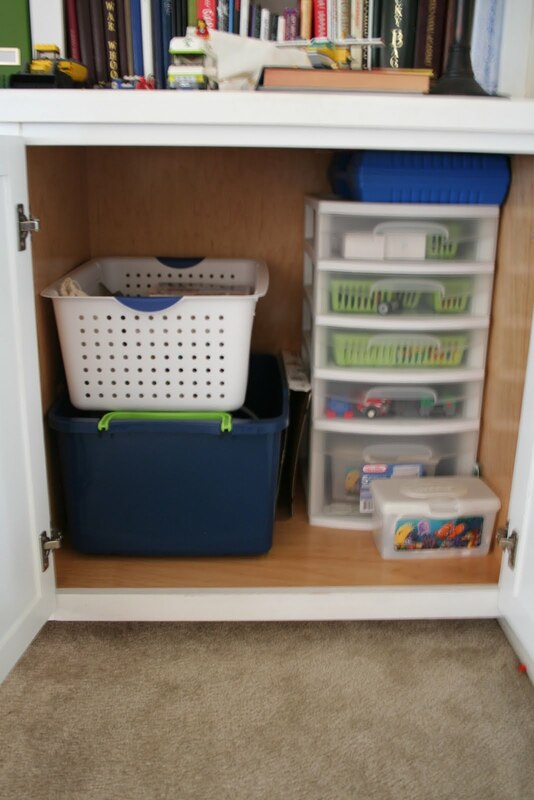 So many great storage ideas! I still use wipes containers for all kinds of little pieces even though my kids have been out of diapers for years. Found you through I Heart Organizing. Teresa, you are NOT the only one who loves those containers. 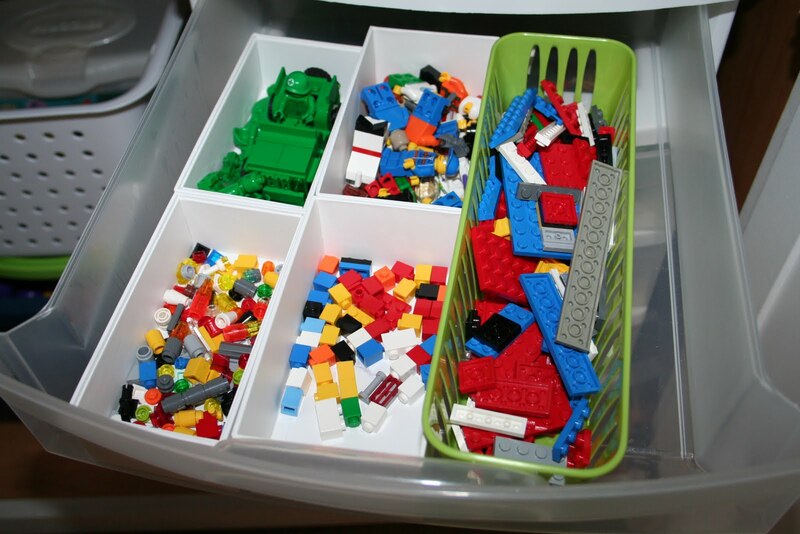 They are perfect for LEGO storage and it pleases me just looking at mine as well. 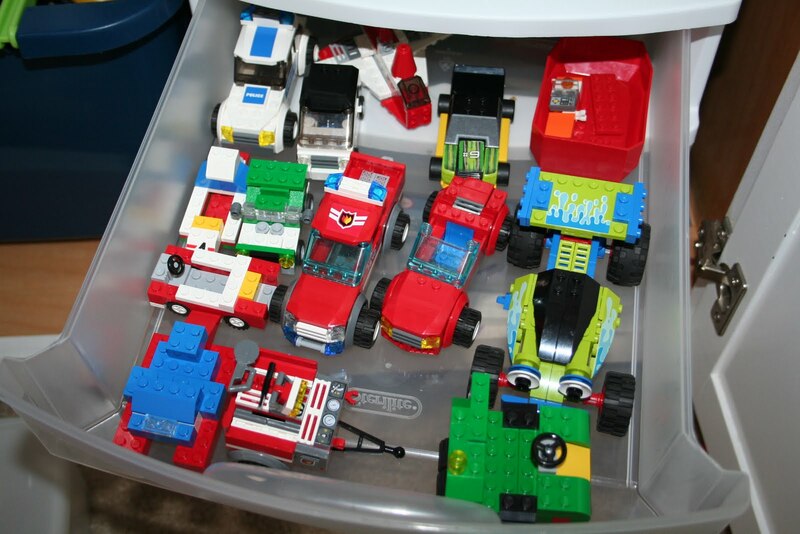 I have the same retro box from my childhood, but in red…and the same memory of digging to find pieces. Thanks for the storage ideas!